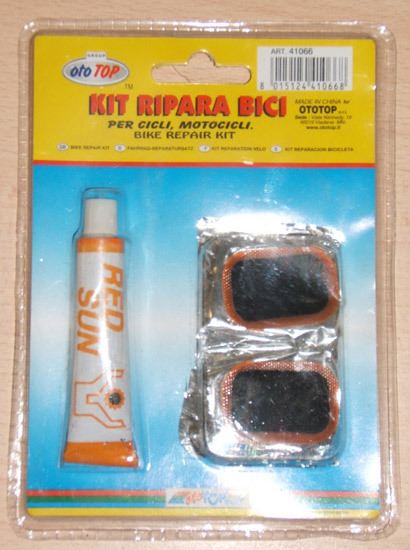 Description: Packaged repair kit containing three metal spanners of different sizes, a small plastic patch scraper and a tube of rubber solution bearing the words "RED SUN" and representations of an orange flame and skull on a white background. The product poses a chemical risk because the benzene content is higher than that permitted under the Chemical Restriction Directive 76/769/EEC. Given that benzene is classified as a Category I carcinogen, the risk is posed by contact and inhalation. 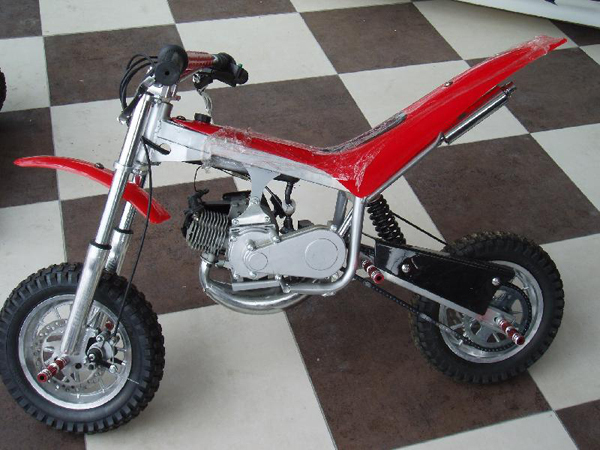 Product: Mini motorbike. 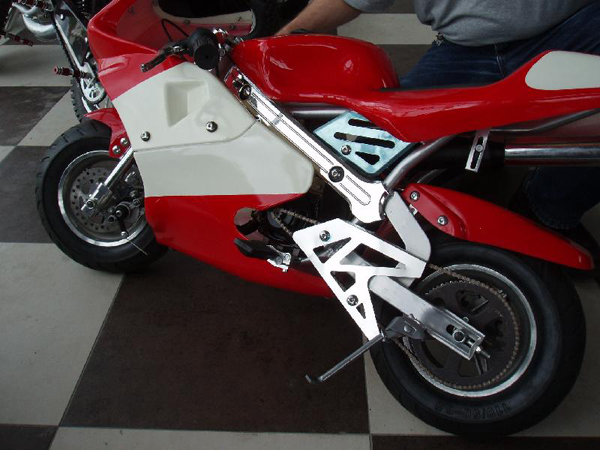 Item is a cross between Scooter/Skateboard/Motorcycle (Petrol engine powered). Type/number of model: Serial No. L5ALEHL037S021343. 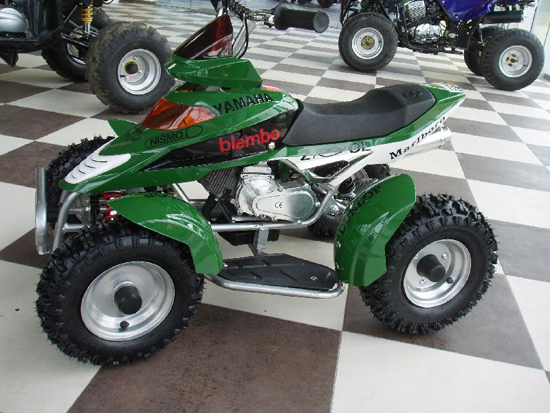 Description: Two wheeled 14diameter 50CC petrol engine powered. Steered by foot placed on board in middle of front wheel. Rear foot placed on board in middle of rear wheel. Throttle and brake controlled by loose hand held cable. Type of risk: Injuries and burns. - inadequate security of fuel tank. Voluntary stop of importation by the importer. Seizure of the products by the authority. Brand: Vehicles listed under numbers 1 to 9 are manufactured by YONGKANG MTL METAL PRODUCTS and vehicles listed under 10 and 11 by ZHENJIANG SHENGQI MOTION APPARATUS CO.
11. Single-cylinder, 49 ccm, two-stroke, air-cooled, max. 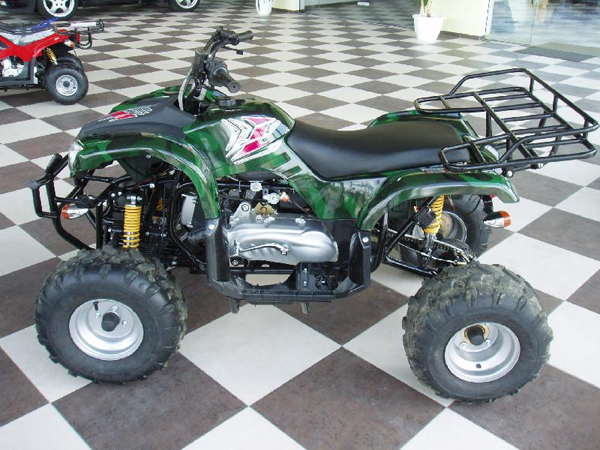 speed >40 km/h, chain drive, tyre size 4.10-6 / 13x5.00-6, only one brake, rear axle disc brake, external dimensions L/W/H 1100/640/700 mm, seat height 480 mm. Import rejected by the customs authority. Description: The plastic covering of the electric scooter is fixed to an iron frame. The electric motor is placed into the rear wheel. The battery charger can be connected to the plug placed under the seat. The battery unit can be found under the footrest and includes 4 rechargeable lead acid batteries. Once removed, the battery unit can also be connected directly to the charger. The plastic housing of the battery charger is supplied with ventilation holes and includes all electronic parts. Main components of the electric scooter: plug under the seat for connecting the charger (10A 250V), cable in the battery space (2 x 1.5mm2 227 IEC 300/500V, WIRE & CABLE FACTORY), socket in the battery space (SY-007 A 027262), plug in battery unit (15A 250V~, SS-7B) and other parts. 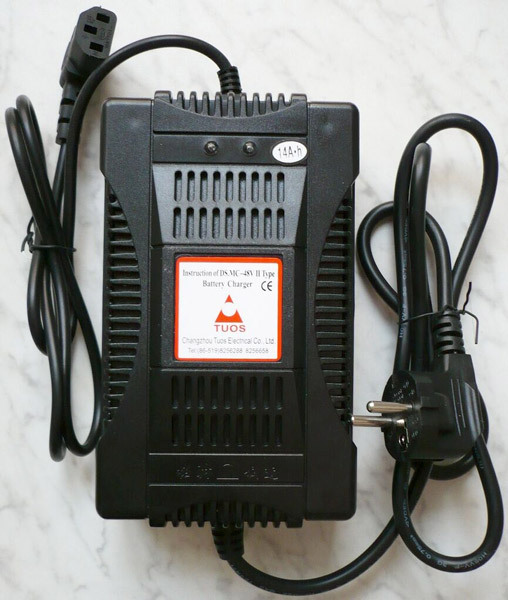 Main parts of the battery charger: mains plug with side earth contacts (16A 250V~ DJ-012 DONG JU); mains cable (H05VV-F 3G 0.75mm2 227IEC 53(RVV) 300/500V 2002010105021011 DONGJU); output cable (48V - ZHEN JIANG SHI HUACHENG DIAN ZI QI CAI YOU XIAN GONG SI 227 IEC52(RVV) 2 x 0.5mm2 300/300V); socket (10A250V~ Y3-EA005633); printed circuit (DS-MC-17 HUAXIA), and other components. 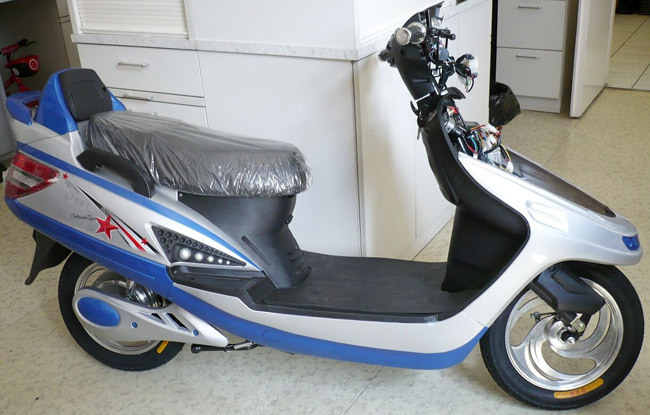 Technical parameters: scooter: drive: 3 x 42V AC, auxiliary circuit: 12V DC; battery charger: input: 220V~ ą10% 50/60Hz 150W, output: 48V 1,7-2,5A Class II. 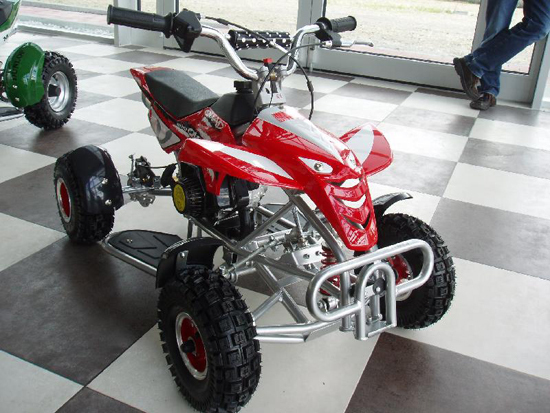 Dimensions: distance of wheel-base: 130 cm; height of handlebar: 107 cm; battery charger: 17 x 10 x 6.5cm. Mass: scooter: 60 kg, charger: 0.72 kg. - the socket applied at the output part of the battery charger is similar to the ones used at connections of other appliances, thus the plug under the seat can easily be connected to mains supply (230 V). 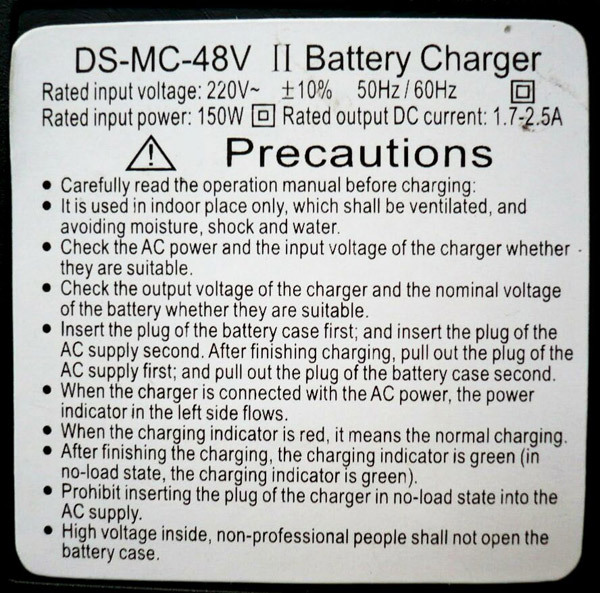 - the batteries cannot be fixed properly in the battery space, their cables may be damaged and they can detach from terminals which could cause a short circuit. The product does not comply with the relevant European standard EN 60335. Type/number of model: Model name: DS90X Model year: 2008-2009 Model number: 3L8A, 3L9A and 3L9B Recall concerns models built from August 2007-July 2008 (list attached). 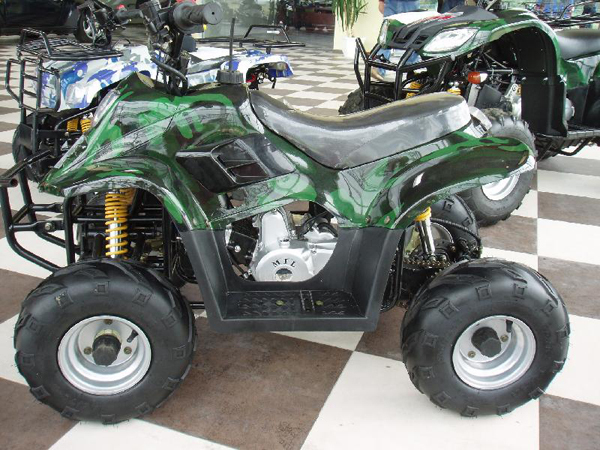 Description: Black body with x-package graphics, four wheeled ATV. 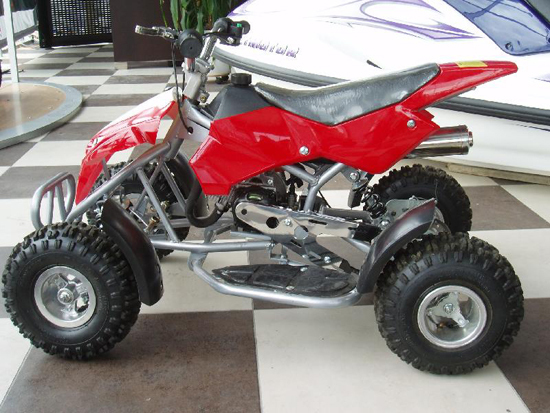 The product poses a risk of injuries because the engine may fail to switch off when pulling the cord from the accessory tether engine shutoff switch post installed on these race-ready vehicles. If this occurs in situations where the rider is ejected, the vehicle may run away uncontrolled until the engine returns to idle. This may lead to the vehicle to collide with bystanders, a fixed object or other vehicles resulting in injuries. Description: Small brake pads, shrink-wrapped onto a card bearing the name and logo of Pyramid Parts. The product poses a chemical risk because it contains significant levels of chrysotile. This product does not comply with the Chemical Restrictions Directive 76/769/EEC. 1. The exterior packaging is a cardboard envelope. 2. BlueChart g2 Vision cards will have one of the part numbers mentioned in the attached list and have a MAR 09 release date on it. 3. BlueChart g2 cards will have one of the part numbers mentioned in the attached list and have a description that begins with the letter H or HX (example: HXUS039R). The product poses a risk of injuries since in certain waters, there are inaccuracies and/or omissions in the way that the BlueChart g2 and BlueChart g2 Vision v2009 cards present depth contours and depth areas which could result in the depiction of water depth as deeper than the actual depth under certain display conditions. As such, there is a possibility of boats going aground leading to possible accidents. Voluntary recall from consumers by the distributor. 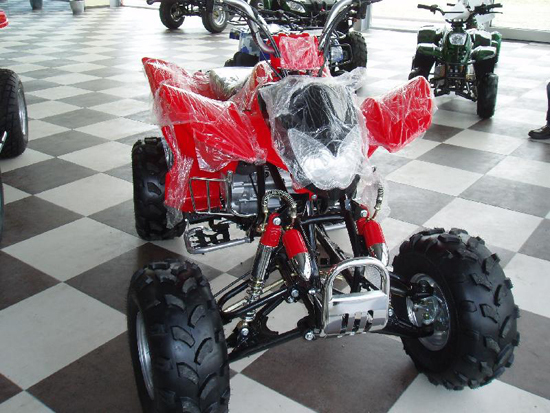 Type/number of model: Streetfighter S model years 2010, 1198 S model years 2009, 1098 R model years 2009. - 1098 R from frame No. ZDMH702AB8B021458 to ZDMH702AB9B024905. 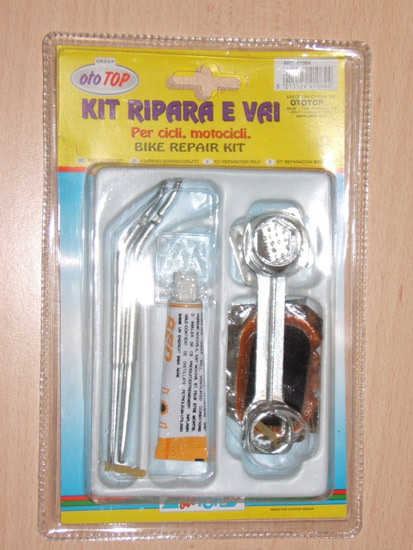 The product poses a risk of injuries because on the affected motorcycles there is a possibility of cracking of the right-hand side fork bottom-end clamp situated at the front wheel shaft pinch bolts. As a result, the fork could break, causing a risk of a fall for riders. Description: High visibility warning vest made from fluorescent fabric in yellow colour, with two reflective stripes sewn in horizontally. Marking: CE, EN 471, Composition of fabric - 100 % Polyester. The product could lead to injuries because the reflective stripes on the vest do not comply with the relevant European standard EN 471. The products pose a risk of injuries because, due to incorrect material used in these products, the cover of the spring may crack. The failure may lead to divergences in the applied torque of ą 50%. Description: Vehicle starting aid with light, compressor and pressure gauge. The product poses a risk of injuries because of the gross inaccuracy of the pressure gauge (errors recorded in excess of 50%) resulting in incorrect inflation of vehicle tyres, which may cause a vehicle accident. Model name: DS450. Model year: 2009. Model number: 3F9F, 3F9G, 3G9D and 3H9C. Description: Models built between March 2008 and January 2009. The product poses a risk of injuries because the rear calliper mounting bolts installed on these units are too short. This may affect rear calliper system integrity and may lead to partial or total calliper dismount. If this occurs, the vehicle may lose braking capacity causing a risk of accident. 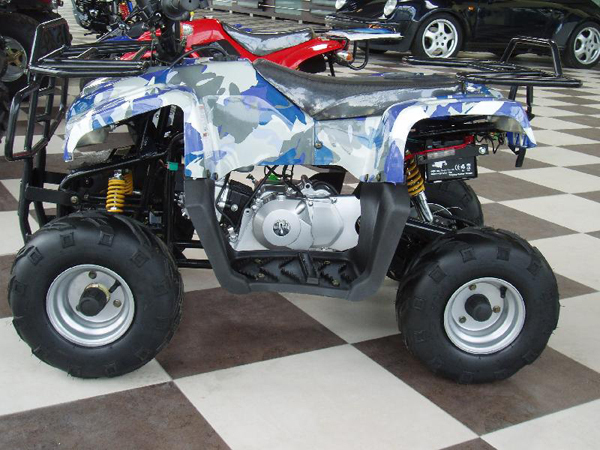 Description: All terrain vehicle; silver or black. The product poses a risk of injuries because the rear brake light does not activate when the driver uses the front brake. Also, the rear position lamp does not operate when the driver switches on the front position lamps. Type/number of model: Spyder GS SM5/SE5. Model year: 2008-2009. Model number: 18B, A18C, A18E,A18F, A18G, A18H, A18J, A18L, A18M, A18N,A18P, A29,29F, A29G,A29H, A29J, A29K, A29L, A29M, A29N. The product poses a risk of injuries because a situation may occur whereby the operator may need to exert a force greater than expected to initiate turning of the steering handlebar, possibly leading to an accident. 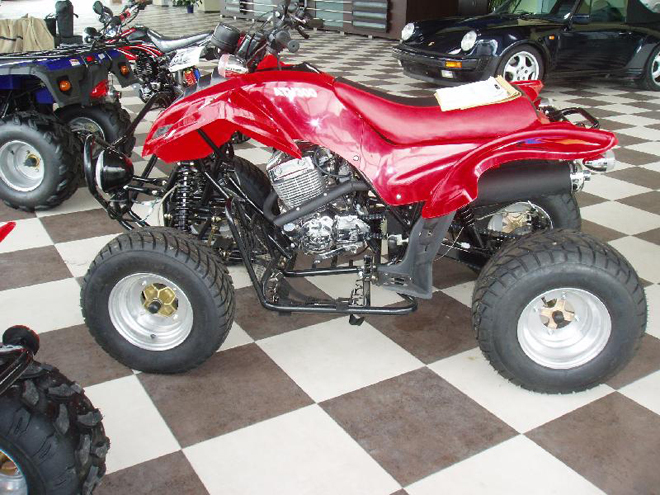 Description: Part-assembled mini motorcycle packaged in a brown cardboard box. - the handlebar levers are not ball-ended. In addition, fuel vapour vents in front of the rider and could be inhaled. The product does not comply with the Machinery Directive. Sales ban and withdrawal from the market ordered by the authorities. Stranica je generirana za 0.137 sekundi uz 22 upita.